Being in a satisfying romantic relationship is one of the strongest predictors of overall life satisfaction and well-being. In the present chapter, we examine the possibility that mindfulness may be beneficial to romantic relationships. 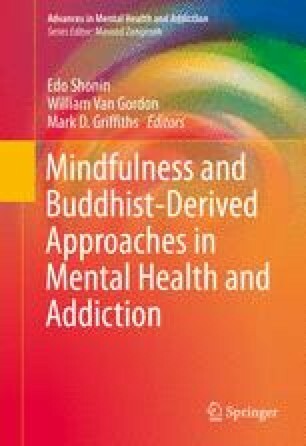 To date, most of the scientific literature has examined whether mindfulness enhances individual well-being and functioning or reduces individual distress. However, more recently, there has been increasing focus on the potential benefits of mindfulness for interpersonal outcomes. We begin with a review of the available theoretical and empirical evidence pertaining to the influence of dispositional mindfulness on couple relationship processes and discuss a range of potential mechanisms that might explain why mindfulness may facilitate healthy relationships, including enhanced emotion regulation, increased acceptance, and greater capacity to engage in self-change to enhance the relationship. We then discuss the use of mindfulness-based interventions to enhance couple relationships and alleviate couple relationship distress. We conclude with a discussion of the clinical utility of mindfulness for use with distressed couples and outline directions for future research.